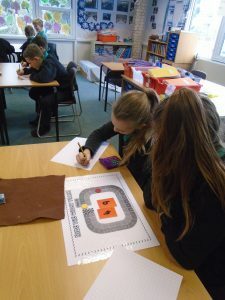 Last week, the school was a hive of mathematical activity when the children took part in the nationwide NSPCC Number Day and raised £259 for the charity that helps young people have better, safer lives. 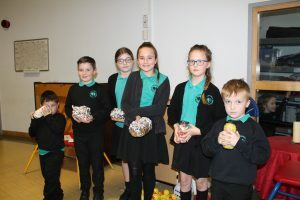 In the morning, year groups led their own fairground themed activities in their classrooms and then shared what they had done in a whole school assembly. 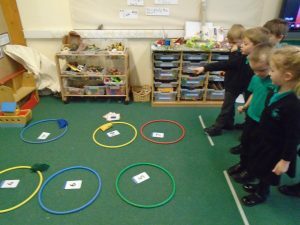 Reception: played a variety of fairground games and added up their scores whilst doing so. 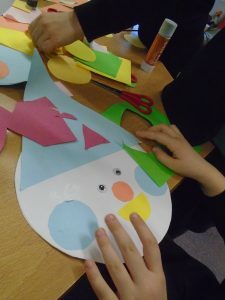 They also used shapes to make clown faces. 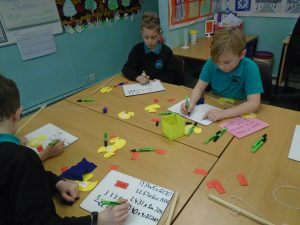 Year 1: practiced numbers to 100 using a large 100 square and measured the height of clowns using rulers. 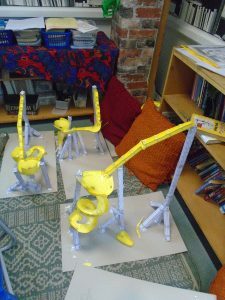 Year 6: played maths board games and designed and built rollercoaster marble runs on which they timed how long it took the marble to reach the end.